As you likely saw, earlier this week, NetApp announced the official kick-off of their 2017 NetApp United influencer program, welcoming 111 members. 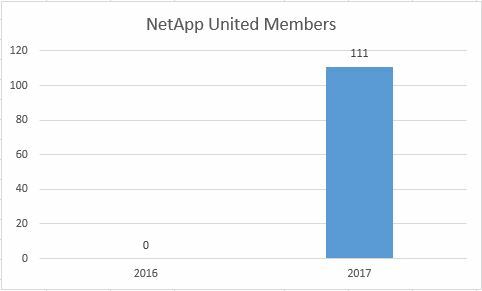 While 111 members gives us a little idea of what the 2017 NetApp United looks like, I thought it was worth taking a closer look. 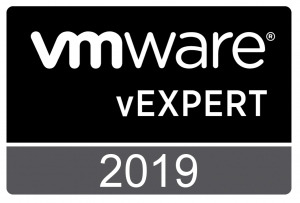 So, as I’ve done in the past for the EMC Elect program, I’ve taken a look at the information that’s available to see what other insights we could gain into the new program. In addition to the numbers themselves, I’ve created some graphics to help visualize what the numbers tell us. You’ll find them below. OK, I’m kidding. Yes, obviously the program has grown tremendously since last year, given the it didn’t exist last year. One of NetApp’s goals in creating the new program was to reach influencers from all over the world. With members listing 36 different countries as “home”, I think they’ve done a pretty good job in achieving their “worldwide” goal — especially considering this is the program’s first year. I tried putting the breakdown of the different countries in a pie chart, but the result was more or less unreadable. There was the US taking up about one quarter of the pie, India and the United Kingdom with about 10% each, and then 33 more “slices”. 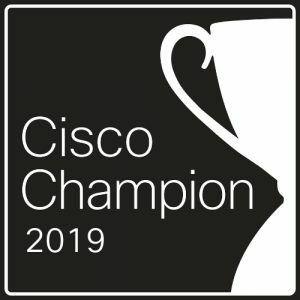 In creating NetApp United, NetApp went with a model similar to that of the Cisco Champions, rather than like the Dell EMC Elect or VMware vExperts. 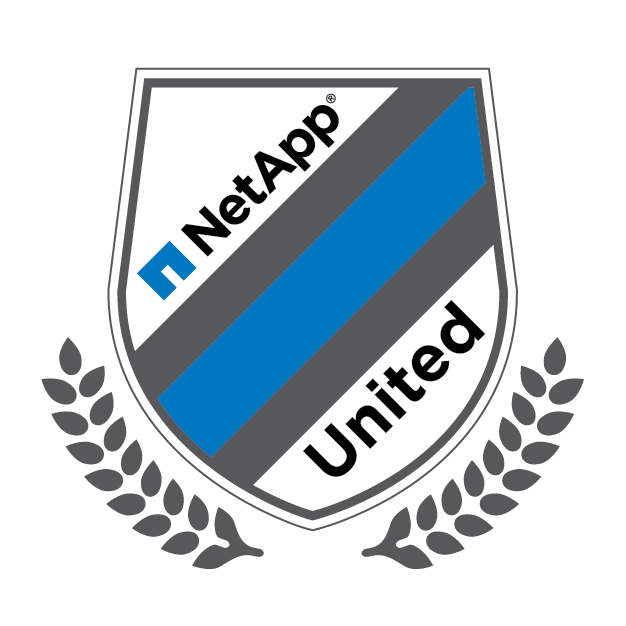 Specifically, NetApp employees are not eligible to join NetApp United. Customers — Those members who work for a NetApp customer. 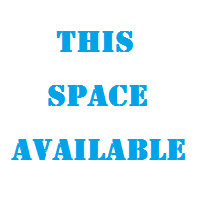 Partners — Those members who work for a NetApp reseller partner. Tech Enthusiasts — More or less everyone else. NetApp chose not to break this down further. If they did, the breakdown might include categories like “Analysts”, “Independent Consultants”, and “Dave”. 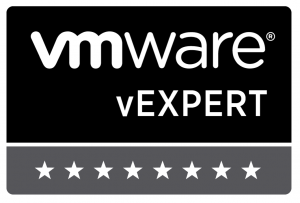 Yes, I’m grouped into this role as I am neither a NetApp customer, nor a NetApp partner. 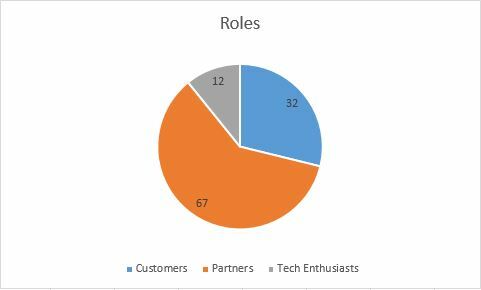 The chart below will give you details on the ratios between these roles amongst the NetApp United members. Lastly, in my experience, when I’ve done this sort of numerical analysis on a community program in the past, eventually someone asks about the male:female, or specifically asks how many women are in the group. Because of that, I’ve decided to just put this info out there in a “just the facts” format. 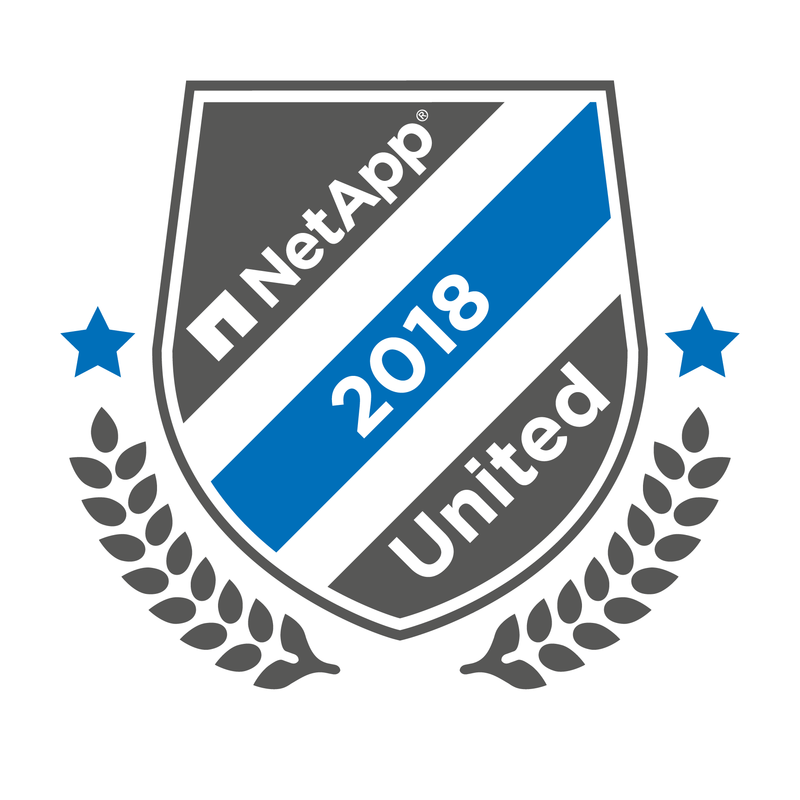 I’ll add that I hope to see the female:male ratio increase for the 2018 NetApp United. 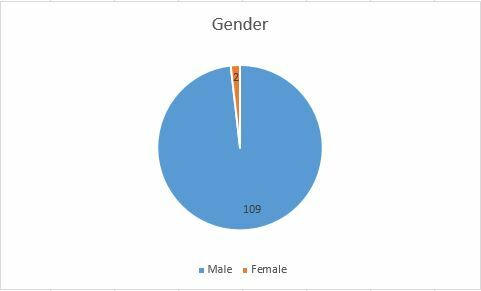 Yes, 1.8% of the 2017 NetApp United members are women. The folks I’ve talked to at NetApp have said that their goal was to have between 100 and 200 members. They really didn’t want to go higher than 200, as their goal is to focus on quality over quantity. Having members from 34 to 36 different countries (depending on whether you go with my count or with the members’ own count…), I think it’s clear that NetApp succeeded in their goal of having the program be worldwide. I don’t believe that NetApp had any specific goal in mind for the ratio of the members’ roles (Customer vs. Partner vs. Other). I’ll be curious to see how this number looks in future years. And lastly, while there are fewer women than men in the IT industry in general, that ratio is still better than the one we see here. Having spoken to the NetApp folks who are running the NetApp United program (all women) I believe that the lower number of women applicants can be chalked up to the program being so new. I do know that there are already conversations happening to brainstorm ideas for attracting more women applicants in 2018, so I’m hoping we’ll see an improved ratio next year. All in all, I’m looking forward to seeing what happens with this program and where it goes. 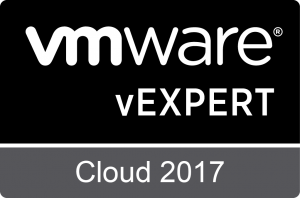 This entry was posted in Social Media and tagged EMC, NetApp, NetApp United, Social Media. Bookmark the permalink.